I live in Sparks, Nevada. 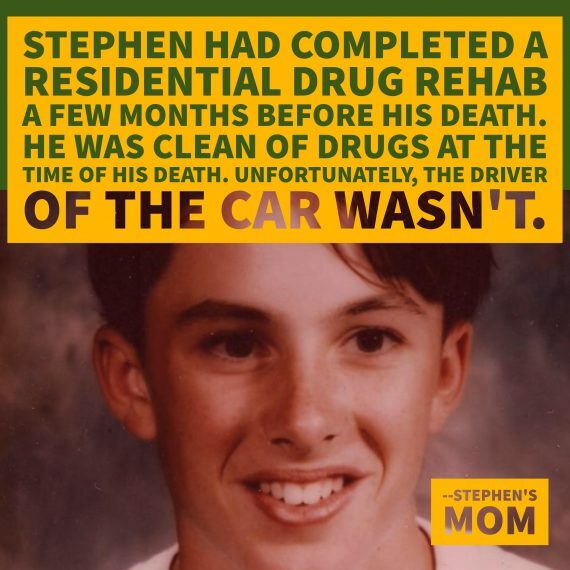 I lost my only child, Stephen Mager, on Feb. 14, 1996. He was riding in a car being driven by his best friend. He was sitting in the back seat without his seat belt on. His friend reached speeds estimated at above 60 mph on a dirt road with a speed limit of 35mph. His friend attempted to hit a squirrel in the road and lost control of the car. My son was ejected out the back window and the car landed on top of him. His friend and the two girls in the car had cuts and bruises. My son’s best friend later tested positive for THC. In seconds I stopped being a parent and mother. We were no longer a family, we were a couple. All of this happened at noon break on a school day. These were 16- and 17-year-old kids making impulsive decisions that cost a life and destroyed a family. My son was born on Christmas Day. On the Christmas following my son’s death, I did not send Christmas cards. Instead, I mailed letters to every one of Nevada’s legislators, telling our story, adding a picture of Stephen, and asking for a law making it illegal to drive with illegal drugs in your system. I got 13 replies in writing and a few phone calls. A first-term Assemblyman met with us and allowed us full access of his resources. We sat together and wrote a drug per se bill. Our bill failed, but Nevada State Senator Porter submitted an identical bill and we helped lobby it through our 1999 legislature. Now Nevada has a 2ng THC per se law. The ironic thing is that the Washoe County DA and law enforcement in northern Nevada have never been passionate about the law. When I heard that we would have a ballot measure in Nevada regulating adult use of recreational marijuana we became active again. My husband contacted the same legislator, now a Nevada Senator, Don Gustavson, and a bill was introduced that would require a doctor’s release to drive when Medical Marijuana card holders pick up their cards at our DMV. Nevada DMV attached a $100,000,000 cost and we heard from the Marijuana Policy Project and three women from Las Vegas who use medical marijuana. Needless to say the bill did not make it out of committee. In Nevada the marijuana industry has spent a lot of money and time passing legislation behind the public’s back, with little media coverage, to ensure that they have a paved way. Since then, I have watched our local governments waffle and cave to the money being given to their political campaigns by the investors in the marijuana industry. We have been interviewed by a local TV news station along with a terminal brain cancer patient. The response on Facebook by marijuana users was ridiculous. There is no respect for the death of a child, no recognition of our loss, and claims that we owned stock in pharmaceutical or would feel differently if it were alcohol, which is supposedly so much worse. Twenty years of living without my son. 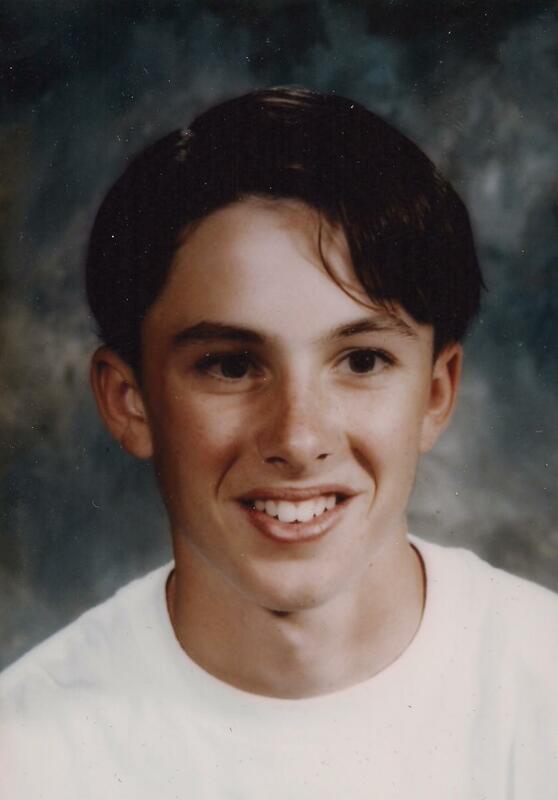 All of the problems of his drug use and how that shattered our family. 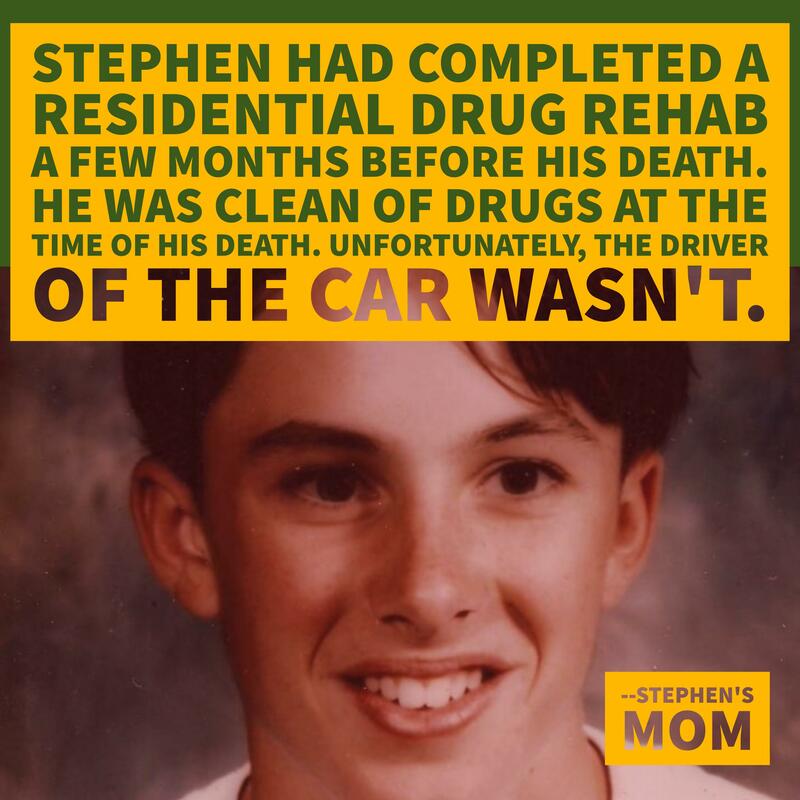 Stephen had completed a residential drug rehab a few months before his death. He was clean of drugs at the time of his death. His friends, who came to our home, spoke of how he wanted them to attend Narcotics Anonymous with him. One of the last things he said to me was, “Nothing is made better with drugs.” I will never know if he would have been successful in his attempt to be drug free. I speak at VIP (Victim Impact Panel) and tell our story to drivers convicted of DUI. The room is very quiet and there are some tears. I have promoted SAM in our area and sit on several community groups that are opposed to Nevada’s Question 2 (Nevada Marijuana Legalization Initiative). I do not have one friend who has not had marijuana impact their family. Yet, the press would have us believe that Question 2 will pass. Reno’s mayor goes to the airport and meets and welcomes the attendee of Burning Man, yet she does not respond to the multiple unsolved sexual assaults or the understaffed police department. Joe Crowley, a former president of University of Nevada, Reno, and owner of a Medical Marijuana Establishment, has his name on the Student Union building at UNR. Sen. Seigerbloom has a marijuana strain named after him. My husband and I volunteered with many programs such as MADD and Stop DUI. 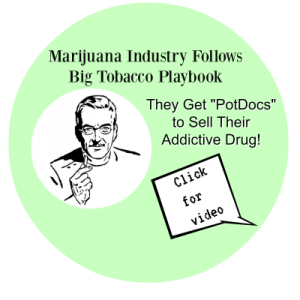 We have witnessed many lives lost and families permanently damaged by marijuana. There are so many. When you add the families dealing with addiction, psychotic breaks, and suicide it is more than I can grasp. “Just a little Pot” is such a foolish thing to say. Having a ballot measure to legalize marijuana for recreational use is insane. If state voters would sit in these courtrooms and witness the pain & suffering endured from substances, especially marijuana, and attend the funerals or memorials of the lives lost to suicide the sleeping public would realize why we are fighting recreational marijuana use. People would know our passion which stems from the pain of a loss so great. Moms Strong is an appropriate name. Society will learn the easy way or hard way the unwanted consequences of marijuana use. Unfortunately, we have medical marijuana (the so-called “wonder drug”) to contend with. Just how many people are willing to risk their jobs and ability to support themselves for a few hours of escape? I am frustrated, and have written too much. I have lost my parents and brothers. Outside of my husband and me there are few family or friends that remember my son. It is very hard fighting this battle. There are so many families and lives suffering, but it appears that, in Nevada, few are speaking out. They isolate themselves. Moms Strong is doing the right thing by sharing your stories.